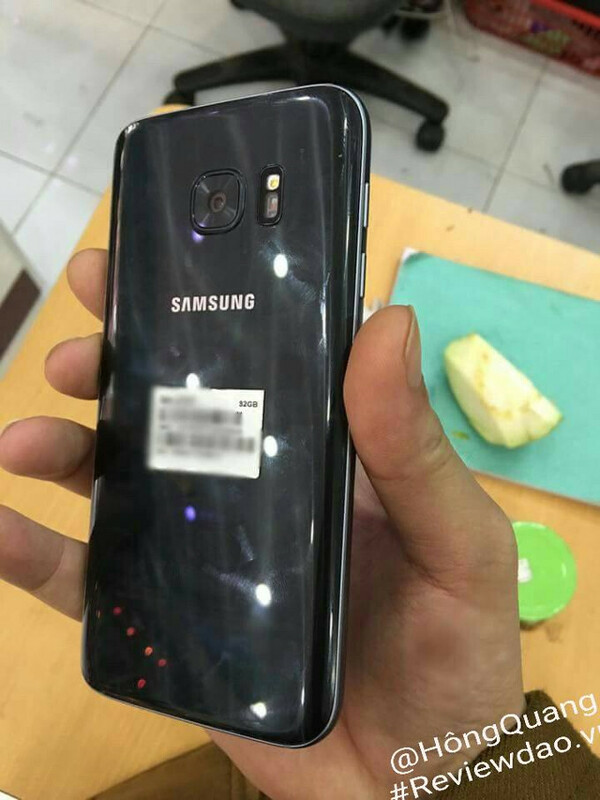 Having trailed numerous leaks and sightings of the Samsung Galaxy S7 over the past months, we may now finally have our first proper look at the device in the flesh. 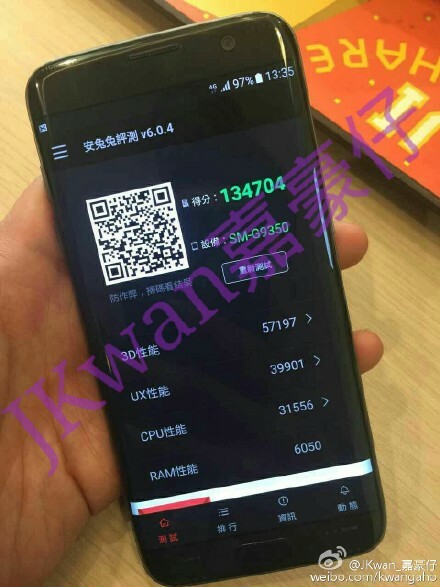 Tying in with those previous tidbits, the device features a curved back akin to the Galaxy Note 5, and as well as offering the world a glimpse of what's next, the leak's source confirms a few more key details. With Samsung's Unpacked event set to head off Mobile World Congress on February 21st, we still have a couple of weeks before the official unveiling. Vietnamese site Review Dao has treated fans to an early teaser, though unfortunately, it's only a single shot of the back. One of the constant gripes with Samsung devices and smartphones in general is the camera hump. It's been known for a while now that Sammy's upcoming flagship will severely reduce it to the degree that the lens sits almost flush. As you can see from the new image, the rear shooter has been tidied up, and as a result, protrudes a lot less. The Galaxy S7 will purportedly comprise a metallic frame, with the majority of the build being glass. This photo appears to showcase a plasticky finish, but it's very likely that Samsung has laced this prototype in a different material in order to keep folk guessing. The report mentions an improved Exynos SoC that offers a 15% bump to processor and graphics performance. As is typically the case with Samsung's flagship line, there'll be a Snapdragon variant as well, and both chips will apparently support high-quality audio DAC. Much has been made of the S7's improved battery life, and thankfully, the latest report only corroborates this notion. Apparently, the battery can charge from flat to 80 percent in half an hour. The report appears to confirm the 12-megapixel Britecell rear camera with f/1.7 aperture, and waterproofing for added ruggedness. Price-wise, the S7 will supposedly sell for the equivalent of $740 in Vietnam, while the S7 edge is being touted much higher at $890. There's no telling whether this leak is the real deal, though, and the lack of a snap of the front only adds to the slight feeling of skepticism. Still, based on this leak, are you excited about the S7's eventual announcement? Let us know of your take via the comments. Exactly.. Samsung NEVER had back made from metal.. Always plastic..
You must be new to Samsung phones, or just too young. Samsung Wave series had both metallic back and removeable battery. I think the regular S7 is going to have an edge display. By an lg device and you will regret it. It looks like plastic, May be the new J7. Well the good new is that it looks thicker. Why is this good? Larger battery rumor may be true. It looks like we will be getting S6 active kind of battery life. I'm excited to see how this turns out. This may be my next phone. 64gb please. I doesnt look to have much of a metal from for the fingers to hold on to. Personally I'm most looking forward to the non edge variant. atleast they should've brought back the faux leather back from the note 3.. that was classy! Well they reduced the camera bump, improved the ergonomics and got rid of the blue-black colour which I personally hated. What a bunch of baloney. Refine? Design language? Premium feel? Baloney after baloney. Its basicaly the same as s3. One average ugly mf. Note2 looks better. Based off of 1 pic from the back?! I guess you can tell if a girls' face looks good from behind huh? Well, one can say the back is hideous. If the back is ugly who cares about the face?? ?